Hubbub - "New Balls Please!" The Aston Tennis Bulls are aiming to raise £750 to cover the cost of our court hire for next term as well as a whole load of new balls! This will get rid of weekly subs for members and mean even more students can get involved with the tennis club. We are the Aston University tennis team, helping players to reach their full potential as well as offering students a fun and relaxed environment to stay active. 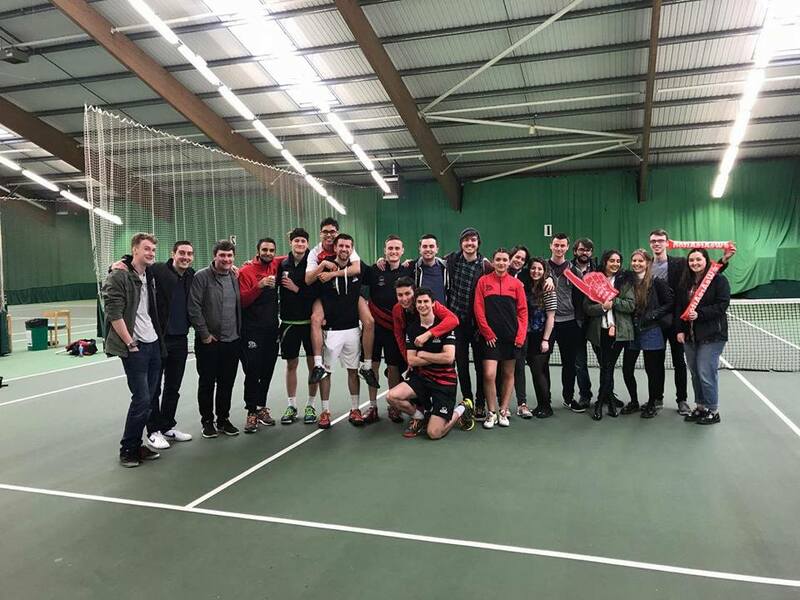 We are one of the smaller clubs on campus with 25 members in total, but what we lack in size we make up for in passion and talent, topping the Midlands 4A division, with great weekly turn out to squad and social tennis sessions. With Aston being right in the centre of Birmingham there aren't any tennis courts available nearby and the university doesn't have the space to build it's own, meaning that we have to travel to south Birmingham to the courts we hire. This means that the club have huge weekly costs to cover and we inevitably have to turn to our amazing members to keep us going. Our members love being able to train in a competitive environment where they can build on their talent but also come along for a relaxed hit on a Wednesday afternoon, but they are not always able to attend every week due to the weekly subs which cover the court hire and travel costs. Being a club run by students for students we understand that it isn't always possible to spare money for tennis so we want to eliminate the weekly costs that our members pay and that's where you come in! There are a number of ways you can get involved and help us achieve our goal. Any donation, no matter how big or small, will take us closer to our target and sharing our project with your friends and family will make a massive difference to the success of our campaign. We feel this is a great idea and want as many people as possible to hear about it, so please share our story on Facebook, LinkedIn, Twitter, Instagram, by phone, email or in a chat over the fence. As a little thank you and show of our appreciation, we've put together a few rewards for everyone who donates. Go and check out what you could be rewarded with on the right side of this page! A personalised thank you email and shout-out on our social media pages! A signed picture of the Aston Tennis Bulls! A personalised tennis tutorial video covering any aspect of the game that you wish to improve on.